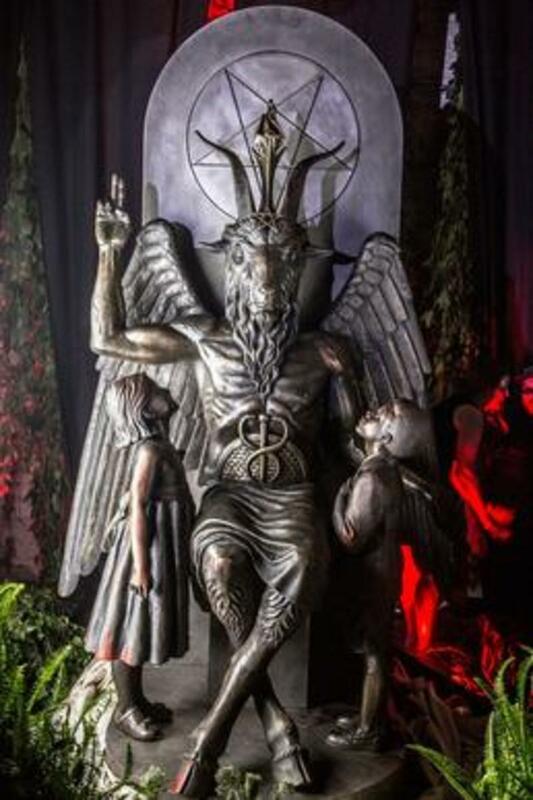 The Satanic Temple&apos;s Baphomet statue. There&apos;s longstanding consensus on the greatest trick the devil ever pulled, but another pretty good one was getting Missouri&apos;s solicitor general to clarify the state&apos;s abortion "consent" law before the state Supreme Court last week. The lawsuit concerns a newly pregnant Satanic Temple member, "Mary Doe," who in 2015 traveled three hours to the only abortion clinic in the state at the time. In order to terminate her pregnancy, she was forced to wait 72 hours, and receive an ultrasound and "informed consent materials," as per the clinic&apos;s understanding of Missouri&apos;s abortion regulations. Since bodily autonomy is one of the Satanic Temple&apos;s central religious principles, Doe brought with her a note requesting a religious exemption to the pre-abortion requirements. The Satanic Temple&apos;s legal claim argues that the denial of this exemption was a violation of Doe&apos;s religious freedom, specifically Missouri&apos;s Religious Freedom Restoration Act. 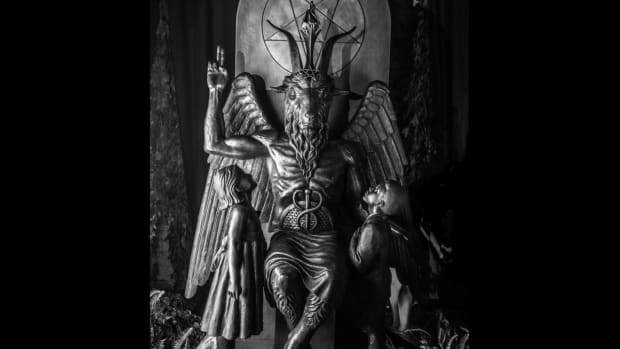 SATANISTS ARE SUING MISSOURI: Inside the convoluted history of religious exemption in the United States. The lawsuit has been ongoing since 2015 and has risen through several different state courts, but the debate until now concerned "legal standing"—whether Doe actually has the right to sue the state for this claim. A state Supreme Court decision will appear sometime this year; should Doe emerge victorious, she and the Satanic Temple will then head back to the lower courts to argue the actual merits of her religious freedom suit. To unpack the significance of the solicitor general&apos;s clarification, catch up on the progress of the case, and discuss the Satanic Temple&apos;s strategy for protecting reproductive rights and challenging laws rooted in Christian dogma, Pacific Standard spoke to Jex Blackmore, the spokesperson for the Satanic Temple&apos;s reproductive rights campaign. Was the Planned Parenthood that "Mary Doe" went to interpreting the law the same way as other abortion clinics in Missouri? 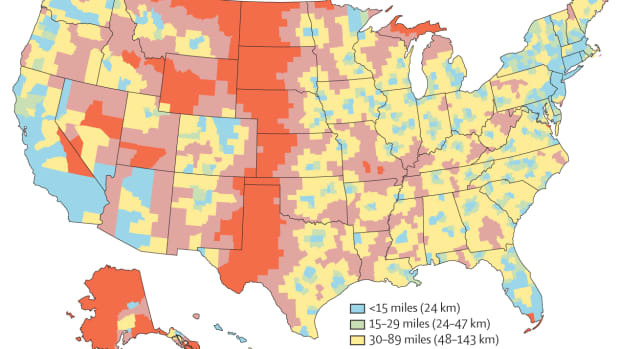 Well, at the time that Mary went, there was only one clinic in the entire state of Missouri. I believe there are two more now. But I called the clinics and they said that the state mandated the ultrasound. So they all are operating under that belief. Was the solicitor general asked this same question about the 72-hour waiting period for abortions? He was not, but I don&apos;t think that there&apos;s any kind of debate about whether the 72-hour waiting period was optional. That is in the statute indicated as mandatory. And the Satanic Temple&apos;s lawsuit challenges both the ultrasound requirement and the 72-hour waiting period as violations of Doe&apos;s religious freedom? Correct, and receiving the state&apos;s mandated informed consent materials. Which were also not clarified as optional? Correct. You must receive them—that is definitely part of the law, but the state&apos;s argument is that you don&apos;t actually have to read them. So you receive them in your first appointment, and when you return you have to kind of fill out a legal document that indicates that you have at least received the materials that say, "Life begins at conception." I think the state is really skirting around the issues by saying, "You don&apos;t have to read the materials," when, clearly, the whole point of giving them to women and forcing them to wait 72 hours is for them to read through the booklet. And if there&apos;s no real point in forcing women to do that, then the law should be thrown out to begin with. What does the clarification of the law that the solicitor general made this week mean for Mary Doe&apos;s case going forward? Will it affect your approach to the case or alter the likelihood of a victory? I don&apos;t know. 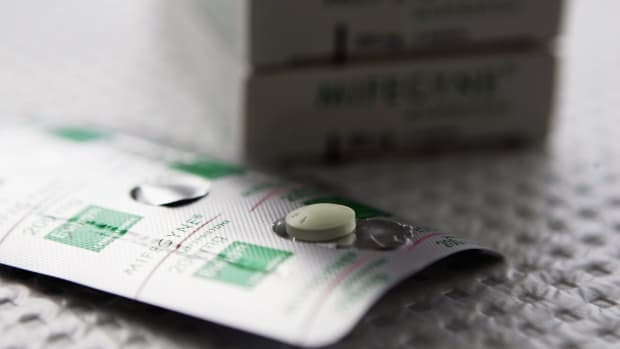 It does demonstrate that the state is very much unclear about what they are requiring from clinics, but, ultimately, what he said is just a benefit in general to women in clinics in Missouri. I don&apos;t know that it&apos;s going to have an impact on the case itself. Did the Missouri abortion clinics you called say that they will no longer require people to get an ultrasound to receive an abortion, now that that law has been clarified? No, they did not. 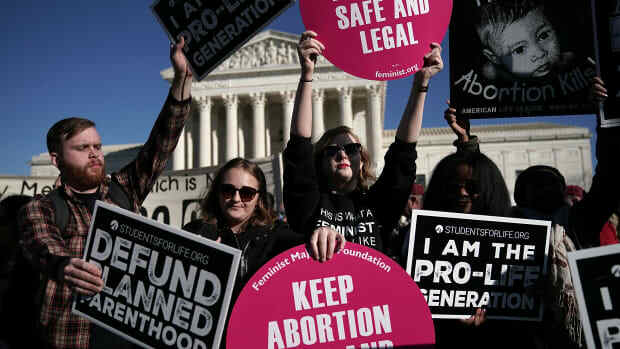 And, to be clear, an ultrasound is still often performed for medical reasons by clinics to determine the gestational age, but medical abortion can safely be accomplished in the first term [without one]. So I think what will probably occur is: Women will still have an ultrasound under the doctor&apos;s recommendation, but they won&apos;t have to be having an ultrasound (which is a very invasive procedure) and be asked whether they want to hear the fetal heartbeat. That can be asked prior to the ultrasound procedure, so that [the ultrasound] can be a strictly medical experience, rather than a political experience as well. Does this clarification create the possibility that women who were previously forced to be offered the ability to hear the fetus&apos; heartbeat while undergoing an ultrasound could be entitled to damages? That&apos;s possible. Something that&apos;s come up in our case several times is why we aren&apos;t asking for damages. For us, "Mary Doe" would be satisfied [if others have] the ability to use the kind of exemption forms that she tried to use. I do think that women certainly have cause to sue for damages for a number of these laws, not just the ultrasound law. Waiting 72 hours, and the expenses incurred there is something people could—and should, probably!—be suing the state for. With regard the the ultrasound claims, I think that, if they sue, it&apos;s possible that the blame will fall on the clinics, rather than the state. So [that specific type of claim] is probably not worth it. One can sue for damages when it comes to lots of other regulations that are clearly in place, imposed by the state. Will a victory in this case rest on the fact that a central tenet of the Satanic Temple is the inviolability of one&apos;s own body? Would the rights you are seeking to uphold not apply to someone who does not belong to a religious organization with similar institutional beliefs? We&apos;re specifically harnessing a religious freedom claim and the Religious Freedom and Restoration Act. So someone would have to show that they have similar religious beliefs to the Satanic Temple [to be exempt from the abortion restrictions]. That is one area that the courts don&apos;t really legislate—whose religious beliefs are more valid than another person&apos;s. If you believe the body&apos;s inviolable, then that foundational belief is just as critical to your understanding of the world, and the way you live your life, as any belief held by a Christian or Catholic. So what we&apos;re trying to do is set up an opportunity for other people to be protected from these kinds of laws in support of their own personal beliefs, and [for the state to recognize them] they often have to be categorized as a religious belief. In that sense, does it make sense to view the Satanic Temple as a religious organization or as more of an advocacy organization? I think you can be both. That certainly applies to many Christian and Catholic organizations that are also religious advocacy groups. They fall into the same category as the Satanic Temple. We are a non-theistic religion. So we have all the same defining features as a religion: a set of shared tenets, a ritual practice, and aesthetic, a community—we just don&apos;t have the supernatural or God element to our system of belief. So the idea that we would be politically engaged or involved and also religious is nothing new to mainstream American religion. 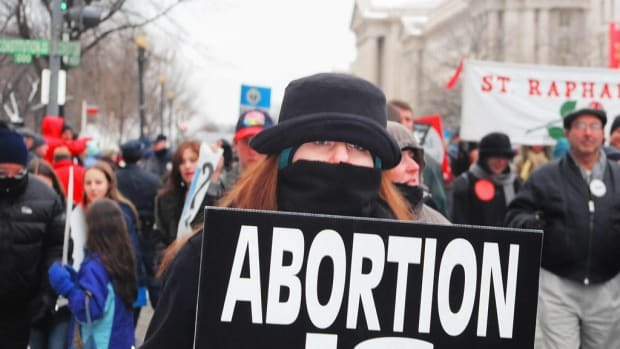 Do you see an irony in the use of the Religious Freedom Restoration Act (which was passed with hearty support from evangelical Christians) to challenge abortion restrictions that are rooted in the beliefs of these same Christians? Yes. There is a misconception—somewhat intentional—that religious freedom specifically applies only to people of the Christian faith. That is an idea that is repeated time and time again. It&apos;s happening right now in the placement of people of the Christian faith in the Department of Health and Human Services that are interested in protecting the religious liberties and freedoms of people. Perhaps they don&apos;t understand that [religious freedom] is universally applicable to people of all different faiths in the United States, and that people of majority religions aren&apos;t the only ones that deserve protection or exemption to their personal belief. The headline-grabbing wrongful death case over an aborted embryo taps into the "fetal personhood" movement that's currently gaining momentum.